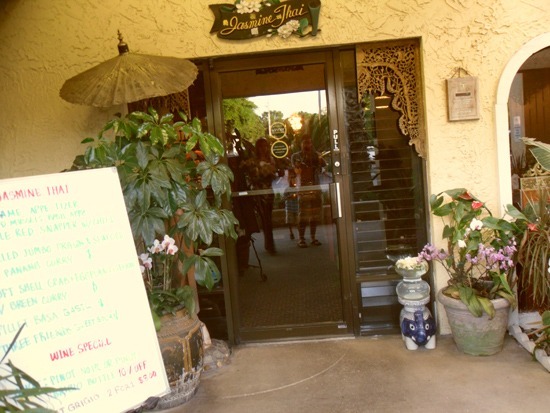 The last time I went to Jasmine Thai was a few years back for a high school friends birthday party. I remember during that visit I was feeling really sick and the Pad Thai at Jasmine Thai made me instantly feel better. Considering how I was feeling earlier that day it truly was a miracle. 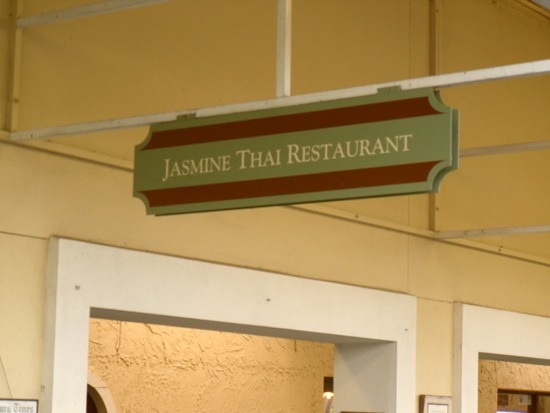 I recently returned to Jasmine Thai and was disappointed with my experience. The waitress was a little rude and snobby. Many people have noted having a similar experience recently so I’m guessing the current crew just isn’t providing good service. 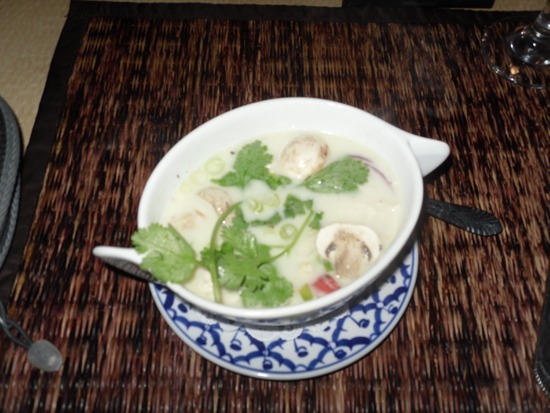 The Chicken Coconut Soup had a pleasant taste at first, but the aftertaste was powerful and after a few tastes it wasn’t as satisfying. I had to take breaks from it in order to enjoy it…happy that it was just a cup of the soup. I ordered my favorite Thai dish, Chicken Pad Thai. On the surface it was your usual Pad Thai with the same sauce and ingredients you can have anywhere else, but after breaking the initial surface the Pad Thai was bland and was a disappointment. 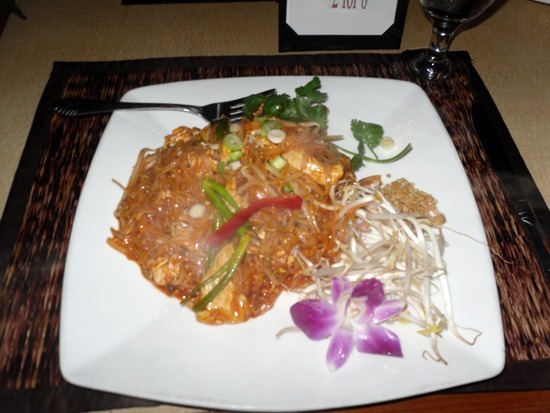 I normally cannot resist finishing my Pad Thai, but I had to actually think about finishing this dish at Jasmine Thai. The Jasmine Thai and Ploy Thai in Brandon are far superior to this place. I wouldn’t return unless someone else really wanted to visit. 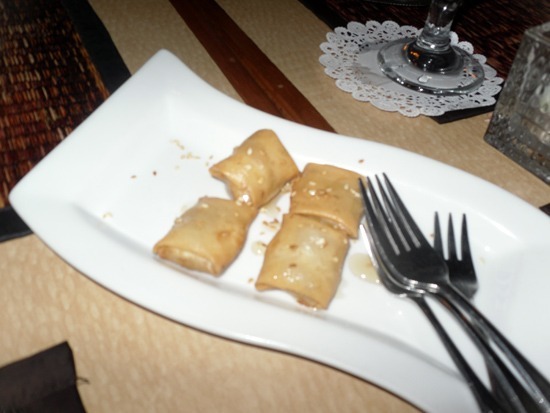 Complimentary dessert was nice though. 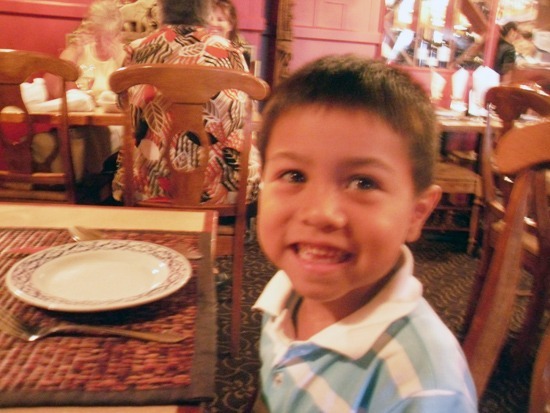 Little Half-Thai nephew joined in this time.